eNLokam: Artificial Kidney an Indian Move!!! 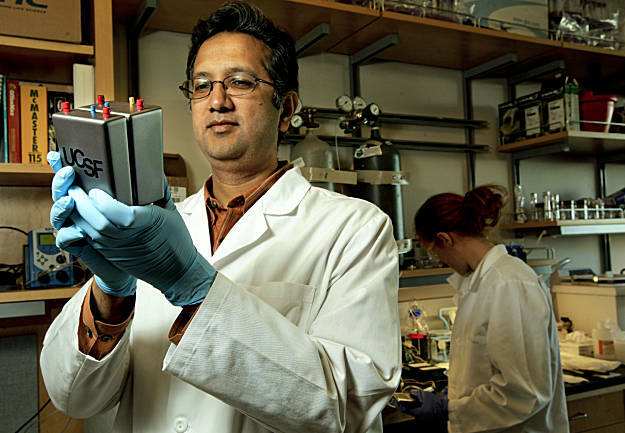 Shuvo Roy, , is the lead designer of an artificial kidney project at Mission Bay. A good news for those with kidney problems! 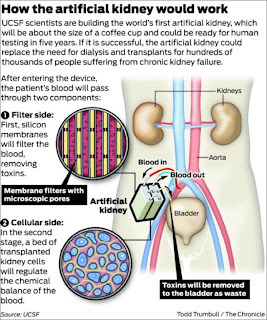 Artificial kidney has become a reality. A US-based Indian researcher Shuvo Roy has created the world’s first artificial kidney for transplant. 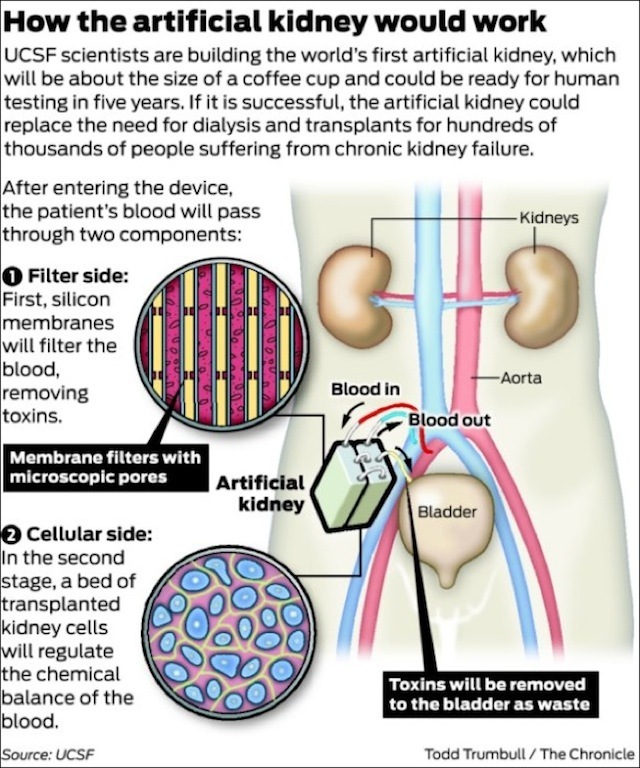 This would be able to filter toxins out of the bloodstream, regulate blood pressure and produce vitamin D. The artificial kidney had been reported to be successful during tests in a small number of animals. This creation is made possible by a team or researchers at the University of California in the leadership of Roy. If this passes human trials, it could eliminate the need for kidney dialysis and even a transplant. The new kidney device protoype is made up two parts. First is made up of silicon chips that can filter toxins out of the bloodstream. 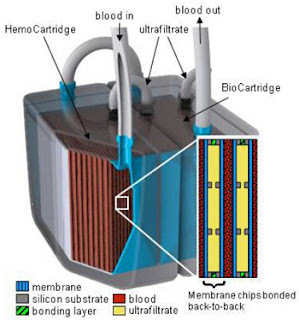 The filtered material is pumped into the second half of the system which is also made up of silicon chips but coated with human kidney cells. These human kidney cells help reabsorb some of the useful substances like sugars and salts back into the body. It also produces vitamin D and helps regulate blood pressure. Statistics say that there are more than a lakh new kidney disease patients coming forward for treatement every year in India. Only 3,500 get kidney transplants and 6,000-10,000 undergo dialysis. The rest perish due to an acute shortage of dialysis centres and nephrologists to treat them. Just imagine what will be the number when take it world wide! Everyone is eagerly waiting to see that Dr Roy's invention is successful and to be made available. Dr. Shuvo Roy is an associate professor at UCSF.